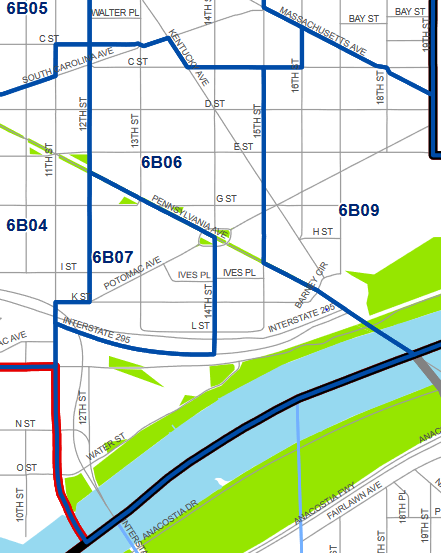 ANC 6B is situated in Southeast Capitol Hill and Hill East (Full Map Here). 6B06 is a unique SMD representing around 2000 people at the 2010 Census but is on it’s way to adding at least a thousand new residents by 2020. From 12th and C St SE to the Anacostia River, this large and diverse SMD is a great place to call home.